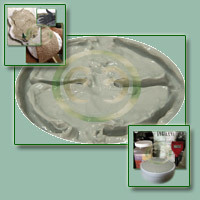 The coined term "Living Clay" is one of the most misunderstood statements commonly used by those who value clays for their therapuetic properties. 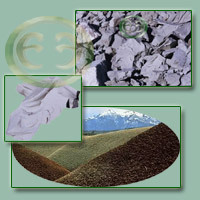 Some texts state that the term living clay is due to the extensive micronutrients found in clays. 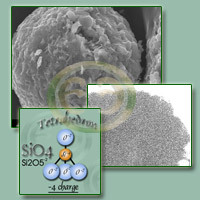 Others state it is due to micro-organisms sometimes found in clays. "...Clays not only have the ability to grow and adsorb other molecules, but they can then incorporate the information from those molecules and use it to alter and change themselves. Clays were almost most certainly among the most abundant substances on the early Earth. Even while the Earth was still too hot to support life as we know it, cooling rains poured down upon the mountains and the rocks, slowly pulverizing them into vast percolating beds of clay. Cairns-Smith believes that it was clay itself that formed the first link between life and nonlife. In his book "The Life Puzzle", he sketches out a possible evolutionary description fo three different species of clay he calls Sloppy, Sticky, and Lumpy..."
"Lumpy solved this problem by accidentally picking up just enough organic molecules to make it both a little sloppy and a little sticky. Having the thick, coagulated consistency of modern clays, Lumpy was able to grow rapidly, survive storms, and even spread, sending broken lumps of itself downstream to grow into new claybeds. 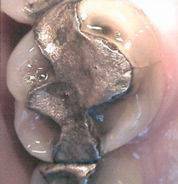 In this way Lumpy not only interacted in a complex manner with its environment but also survived selective pressures. Add just one more trait to Lumpy-- the ability of crystals to apparently duplicate and pass on innovation-- as demonstrated by Holden and Sanger's crystals of ethylene diamine tartrate-- and you have everything necessary for the acquisition and inheritance of new characteristics, a quality hitherto believed confined to the realm of biological life..."
"...Weiss has identified more than eight thousand different derivatives in which clays have acted as templates, causing chemicals like ammonium ions and alcohols to solidify into organic components... Cairns-Smith believes that it was inevitable that the clay would ultimately have assumed a secondary role, providing little more than a protective clamp, until at last, life broke free and started to form its own protective cell walls..."
Therefore, the term "Living Clay" refers to the only class of mineral (crystal) in nature that encompasses all elements science associates with biological life. If clay indeed is the primary catalyst for all biological life, then it is likely also singularly responsible for the pattern of biological growth and evolution. Some researchers believe that clay, as an inorganic mineral, actually mimicks the function of living enzymes. Thanks for the information! I haven't seen this page before, and I don't remember the quotes in full from your book, so I guess it's one of your newer pages? This science is very interesting. My intuition leads me to believe clay is "living," or at least has characteristics of living organisms. It's certainly not just rock dust! Yes, you are right, it is a newer page. I kinda got tired of all of the information out there on the web describing what is meant by the term "living clay". Even scientific studies done with clay have baffled scientists.Â In the presence of clay, biochemical substances start to self organize in a more complex arrangement.Â We have to invent terms like "Hybrid inorganic-organic force fields" to explain it. Sandia Laboratories has done some most excellent work in this field.Â See the "science" section for access to the .pdf study.